Why go to the store when you can buy online? Presumably, there is something about the in-person experience that is more convenient, helpful or in some other way better than making the purchase from our phone or desktop. In many cases, this benefit relates directly to interpersonal interactions. Human resources can play an important role in linking the customer’s experience with retail success. Arguably, there are some things about shopping that an online experience cannot yet replace. In some cases, these irreplaceable characteristics revolve around senses we just cannot appreciate through our devices yet, like selecting a perfume. In other cases, it could be convenience: while online retailers are making returns easier and easier, the ability to try on multiple sizes and styles within the span of hours instead of days is still valuable. And similarly, even though online chats are becoming more robust, the benefit of talking to an expert while trying out equipment, especially when the equipment and knowledge are specialized (and presumably priced at a premium) can be a huge differentiator between the online and in-person experience. In all the above cases, a knowledgeable, service-oriented sales person can make the experience exceptional. HR, via recruiting, training, retention, and culture management can attract, train and retain the talent that can positively impact the in-person experience. 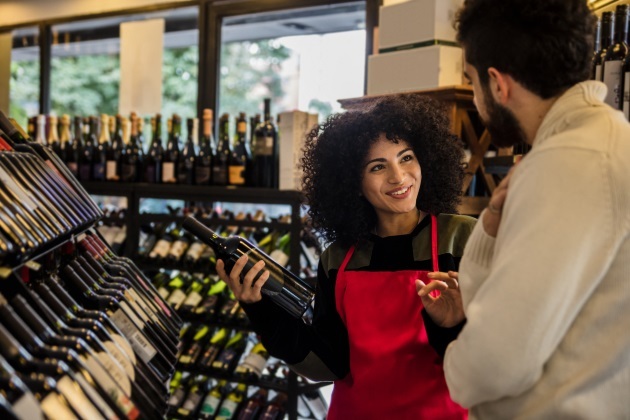 Frontline employees that feel valued and invested-in lead to a more rewarding experience for the customer, which in turn improves current and repeat sales, increases store loyalty, and provides valuable data in the retail service feedback loop. The opportunities to leverage HR for retail in this manner are currently playing out at Apple. Apple’s recent chief of retail came from the fashion industry. As the former CEO of Burberry, Angela Ahrendts focused on turning around the luxury retailer via the in-person experience as well as focusing on growth in Asia. Similarly, at Apple, Ahrendts was expected to address the in-person retail experience in Apple stores and the growth within Asian markets, particularly China. While her focus was on shifting the culture and approach within Apple’s storefronts, her success turning around the tech giant did not meet the high standard she set during her tenure at Burberry. With her departure after five years, Apple announced last month that a 30-year veteran of the organization, Deirdre O’Brien, previously the head of Apple’s human resources, would take over the reins of both retail and human resources. As the SVP of Retail + People, O’Brien is expected to serve as the critical link between talent and the customer experience. While Ahrendts brought the focus of a retail giant to a tech firm, O’Brien is expected to take it one step further by solidifying the link between corporate goals, frontline employees and the customer experience. Whatever paths O’Brien takes, they will be sure to include a more robust understanding and support of service-oriented sales assistance, specialized, practical product knowledge and a continuous feedback loop enabling constant, iterative improvements. In any organization, across industries, the HR department is the perfect place to begin implementing, tracking and reinforcing those links between frontline employees and the customer experience.